Who knew there was so much going on in the pile of leaves in your yard? Apparently, scientists knew. 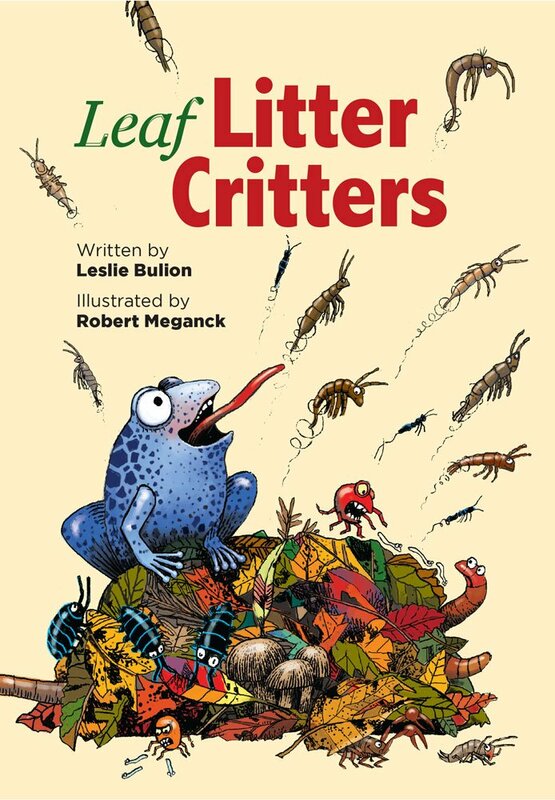 Each two-page spread in this very informative book highlights a different creature possibly lurking in the typical pile of leaves (duff). The author cleverly weaves a lot of information into various poetry forms, explained later, and followed up by science notes about that creature. The illustrations, though at times cartoonish, give a good feel for what the creatures are up to. From the relatively large ecosystem engineers, earthworms, to predatory mites to the ever tiny bacteria, each creature has a job to do. “A Few Favorite Brown Food Web Kings” to the tune of Rodgers and Hammerstein’s “My Favorite Things” sort of wraps it all up. Especially fun for kids are the relative sizes and the suggested at-home experiments. How many tardigrades can you fit on the head of a pin? This is a wonderful place to start a biology unit or even a poetry unit. Or just to think about what you’re really jumping on in that pile of leaves. Abbie Wu returns with her endearing and annoying penchant toward expecting the worst in every situation. Middle school is progressing as smoothly as a subscriber to Murphy’s Law can expect. Abbie briefly considers running for sixth grade class president but backs off when a truly popular kid runs. She is looking forward to the independence she will gain from having her own locker – only to discover she will have a locker mate. To make matters worse, her locker mate, Jess, a new girl in school, will also be her science project partner. How is she expected to deal with someone she doesn’t even know? But the two of them work very hard to develop the answer to feeding ferocious house cats. Of course, eventually the girls become friends, though Abbie never does exactly figure out what makes Jess tick. But they do earn the respect of their science teacher, who gives them an A for effort. Abbie learns that, often, a seeming disaster can be a blessing in disguise and that friends can be found in the most unexpected places. 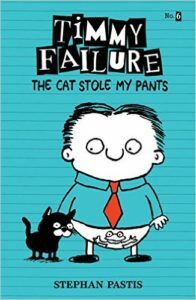 With a lot of humor, the author shows that things may not be as dark as they appear – a concept middle graders may have trouble with. With an amazing amount of skill, especially for a premier novel, the author weaves together many seemingly unrelated themes. She also weaves together an incredibly diverse neighborhood. Twelve-year-old Rose is a cello prodigy preparing for a fellowship competition. She lives and breathes the precision of Bach. Her twin, Thomas, is her opposite in many ways. 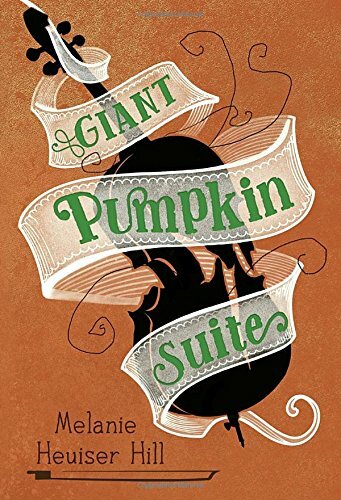 When their elderly neighbor, Otis Pickering, hurts himself attempting to care for a rare pumpkin seed, Rose and Thomas are drawn into helping grow the most amazing pumpkin. Through the growing, Rose resists getting dirty and just wants to play her cello. An accident makes that dream all but impossible. Rose destroys her hand and must go through excruciating rehab. Meanwhile, the pumpkin, Ole Bessie, grows to award-winning proportions. Meanwhile, Rose and her neighbor, Jane, have an adversarial relationship over a particular library copy of Charlotte’s Web. In overcoming adversity, Rose learns to find joy in other things and to forgive herself for not being perfect. Thomas, although he’s not the main character, learns to be a little more thoughtful and to express his love and concern for his sister. The reader also learns about deception and about how much help neighbors and friends can be. None of the characters in this story is one-sided. Jane seems thoughtless and frivolous, but she proves to be a good friend. The maestro seems heartless, but he really has problems of his own and is trying to be open. The mailman is a musician who also suffered an injury. Their quiet Japanese neighbor is a war bride who is mostly lonely. Incredible look at many of the unusual creatures that inhabit the sea, presented in large format. 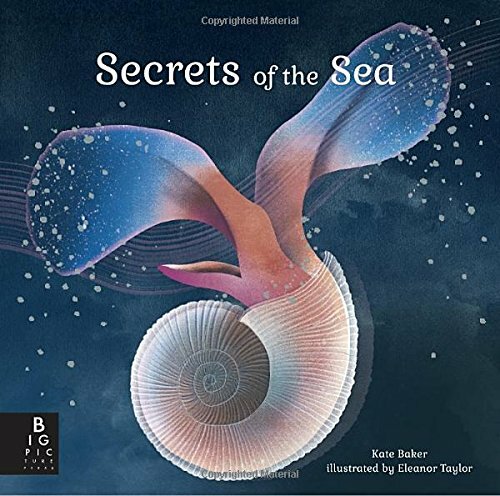 Organized into areas of the ocean, – from the shallows to the forests to the depths – creatures as far-reaching as plankton and blue-green algae to giant clams and the giant Pacific octopus are highlighted. Each creature explored is given a two-page spread in which a breathtaking illustration either presents the creature as a whole or a close-up of some aspect. This is followed by an overview of the creature and a few facts, accompanied by smaller illustrations related to the creature. Did you know the sea sparkle help fishermen see fish at night? Or that purple sea urchin are kept in check by the sea otters, fish, crab, and seabirds that feed on them? Great as a starting point for budding oceanographers. So much of the ocean is still unexplored. It is still revealing amazing facts to those who want to learn. This books certainly leaves me wanting to know more. This fun new book answers a couple of questions that had already been asked about the Wizard of Oz. How did the other characters see the events surrounding Dorothy and the others? What happened to those characters after Dorothy went home? Of course, Wicked gave one answer, but this is about Toto, Dorothy’s little dog. And this book is for the younger set. There is a lot to love here. The story begins as Toto tells his story to his puppies as a bedtime story. Only his namesake stays awake during the entire tale. The author definitely puts his own spin on the tale. No mean neighbor trying to take Toto away. No running away from home. No witch following Dorothy throughout Oz. But it is a good story and close enough to the film to be recognizable. 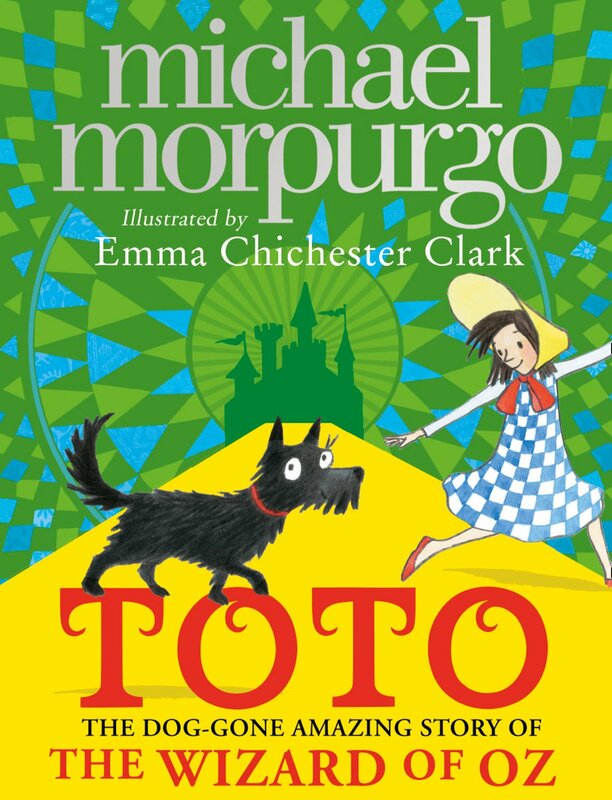 Dorothy and Toto are delayed from seeking shelter by Toto chasing Uncle Henry’s hat. Much of the route across Oz is different. Toto is very driven by the fact that he’s constantly hungry and wants Aunt Em’s sausages. Dorothy does not get home by clicking her heels, but the Wizard has a balloon. And so on. The illustrations are beyond fantastic. Colorful panels adorn nearly every page, telling the story independently and almost giving the reader a separate book. Meticulous research highlights this wonderful new addition to the biographies of the Brooklyn Dodgers hero and pioneer in desegregation of major league sports. The author pored over other biographies of Jackie Robinson and Branch Rickey and interviewed people who knew them well. 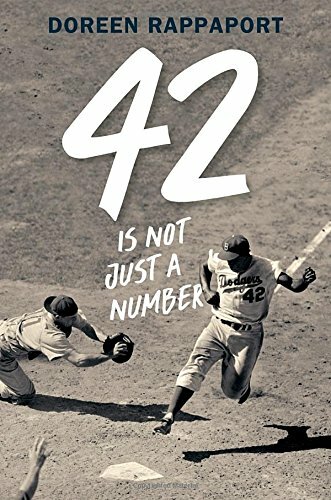 As a baseball fan myself, I was amazed at the number of details about Jackie’s life I learned for the first time. Jackie’s mother, Mallie, was a generous soul who insisted on education and religion for her children. Greatness entered Jackie’s life early when his older brother, Mack, ran alongside Jesse Owens in the 1936 Olympics, earning a silver medal in the 200-meter dash. Fighting against discrimination was also part of Jackie’s life early, but he often solved the problem with physical confrontation, something he had to abandon once Branch Rickey hired him for the Dodgers. With his wife by his side, he rose above all the violence and indignity and had a stellar ten-year baseball career. He wasn’t always accepted, but he did earn a place in history. Accounts of specific games ring true for baseball fans but are easily read by non-fans. The importance lies in the impact he had upon the world at large. Baseball fans and other human beings need to read this short biography. So many of us never get the chance to go to the seashore. Even people live within an easy drive often never get there. 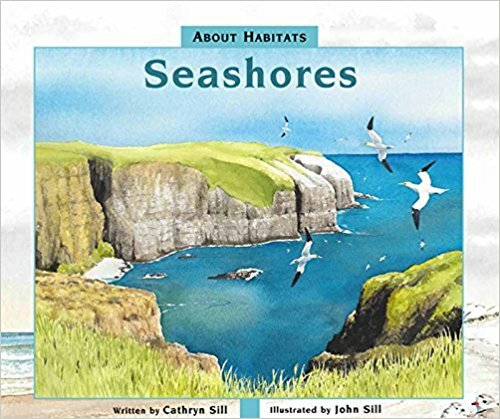 With the changing environment, seashores are also changing, so it’s more important than ever to learn what they are like. As with the other books in this series, the author does a great job of covering all the information that most kids would want to know about the subject. Sandy beaches to rocky shores to huge cliffs. It’s all here. There could be mud or huge sand dunes. Plants and animals must be prepared for both low tide and high tide. They must often withstand huge waves, salty spray, strong winds, and hot sunshine. They must be able to care for their young and teach them to survive. Vivid and detailed watercolors accompany each page of this wonderful volume, giving the “you are there” feel. This is a great classroom resource and a lot of fun to read. Scary and silly. Disgusting and sweet. This book has enough going for it to keep the attention of a lot of boys and girls. Eighth-grader Kelly Ferguson reluctantly agrees to babysitter for five-year-old Jacob Zellman, son of Kelly’s mother’s boss. On Halloween. The problem is, Jacob has wild nightmares, made worse by candy and scary movies. Amazingly, Jacob’s nightmares also come to life, an ability the monsters find irresistible. 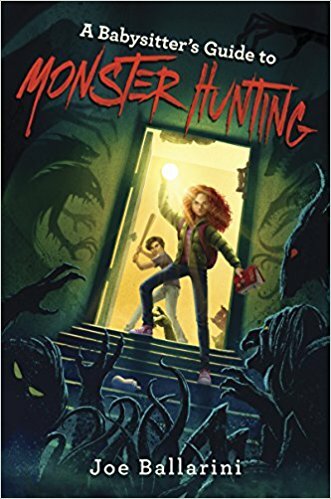 When Jacob gets kidnapped by the monsters, Kelly finds herself in a world she didn’t know existed – the world of professional babysitters. Monsters come in many categories with specific strengths and weaknesses, and babysitters need to be aware of them. Monsters are strongest when parents aren’t around. Rookie Kelly is led around by more than one hyper-experienced babysitter to rescue Jacob and protect other children along the way. The leader of the monsters is the boogeyman (aka, The Grand Guignol), but the threat of other strong leaders is very real in the babysitters’ world. As part of Jacob’s nightmares, even broccoli is threatening. Vivid descriptions and imaginative scenarios are highlighted in this exciting tale. 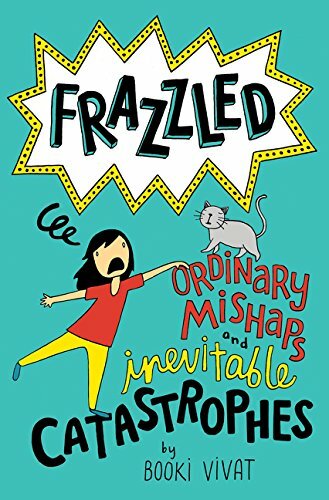 With strong characters and strong themes of fighting your fears, this story is great for middle grades, but maybe not for the very young or very nervous. It certainly is a lot of fun. What could go wrong when an eleven-year-old girl decides to move a Shetland pony into her bedroom? Not as much as you might think, since most of her problems have nothing to do with the pony. Yonder loses her mother at age seven and quickly descends into a trauma-induced muteness. She’s left pretty much to her own devices, as her alcoholic father means well but is no help at all. Kids at school, realizing she won’t shout for help, bully her unmercifully. She manages to steer clear of social services until she decides to stop attending school. While Yonder’s at home, the neighbor’s fat and personable pony attaches itself to her. 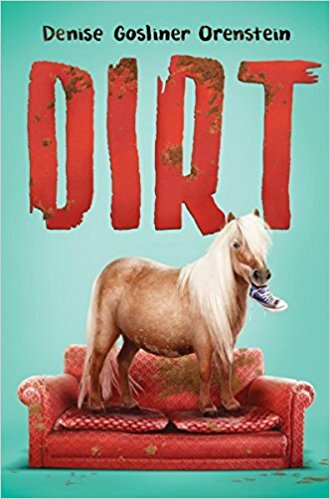 She names it Dirt and moves it into her house. Of course, social services intervenes at that point and Yonder is separated from Dirt. She must rescue Dirt from becoming horse meat. The characters in this sometimes-sad tale are vivid and often hilarious, especially in Yonder’s head, as the story is told in first person. Yonder never fails to comment on the wardrobe and reactions of the social worker, Trudy Trumpet, aka Trudy the Terrible. Her new foster mother never fails to call her Yonder, dear. The vet is Dr. Jane or DVM. Heartwarming and touching, the reader ends up cheering for both Yonder and Dirt. Yonder does end up having to accept reality, but she shapes some of that reality to suit her. Timmy is back. As impossible as ever. Timmy lives in his own little world, and that world often collides with the world everyone else lives in. Each encounter brings Timmy’s somewhat crooked view into the forefront. The main story is about the honeymoon his mother and the man Timmy calls Doorman Dave. Timmy is along for the ride, as is Dave’s nephew, Emilio Empanada. Timmy doesn’t quite accept the marriage, but he does put Emilio to work as an unpaid intern to his detective agency. They are in Key West. Timmy and Emilio manage to wander all over the island, looking for treasure and spies. The cat who stole Timmy’s pants resides at Hemingway’s house. They use the famous lighthouse as a perch from which to view the island. Emilio adopts one of the Key West chickens. Meanwhile, Timmy is expected to produce a book report of Shelby Foote’s Civil War trilogy, three thousand pages long. Amusing drawings are scattered throughout the entire text. This Walter Mitty type story can be a powerful vehicle for reluctant readers. In the meantime, they will get a smattering of the feel of the Florida Keys. Very young readers will not understand all the humor. This is a good reason older readers might want to check it out.